Designed to be comfortable for kids, easy removal, no smudges, and smooth strokes. Includes 8 nontoxic crayons per pack: green, red, blue, yellow, orange, purple, brown, and black. Perfect for all Wipe-Off products and most reusable surfaces. Sold as 12 packs for a total of 96 crayons. 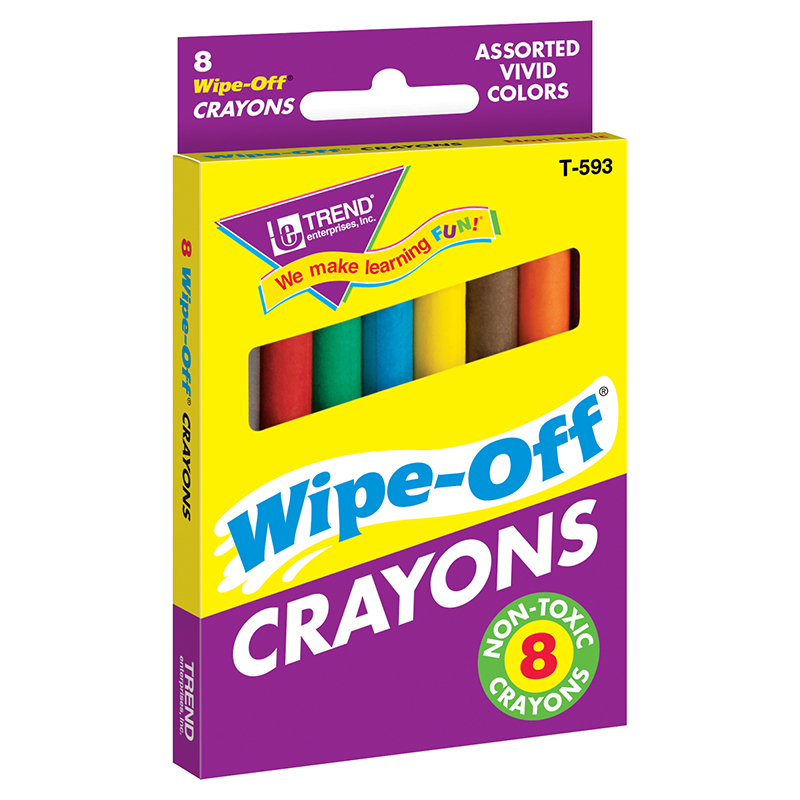 The (12 Bx) Wipe-off Crayons Regular8 Per Pk can be found in our Crayons product category within the Arts & Crafts. Kids love Crayola crayons and parents love the hours of creative fun they provide. 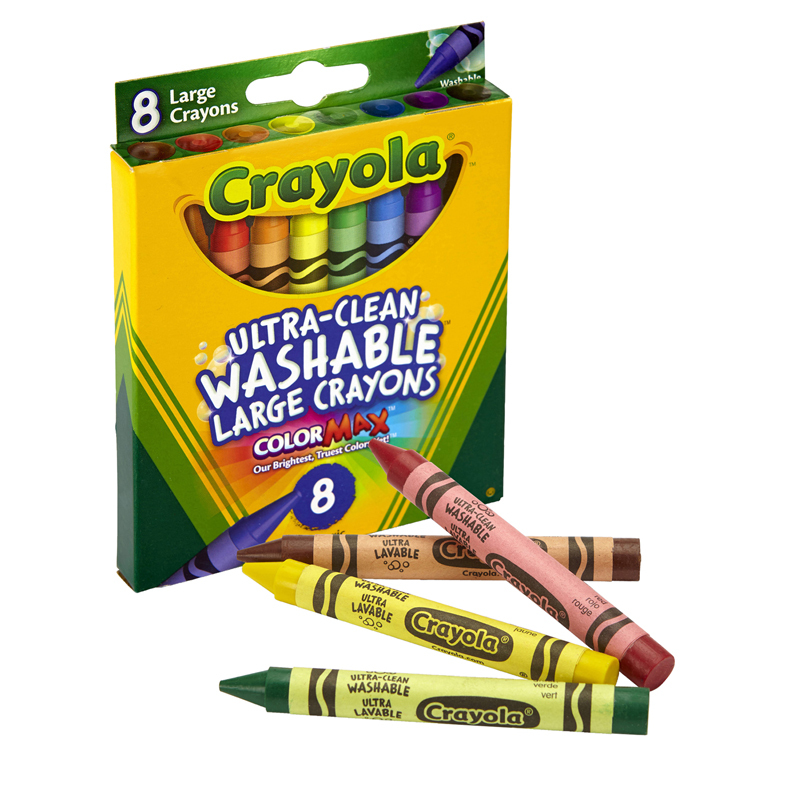 Each pack has 8 non-toxic, large washable crayons in classic colors to keep budding artists entertained for hours. 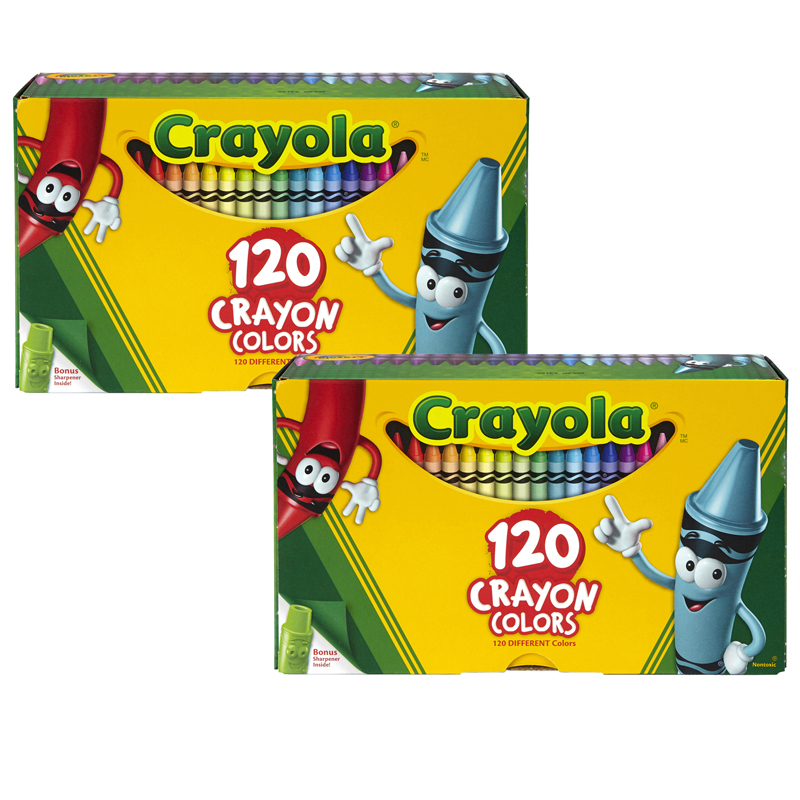 Bundle includes 12 boxes for a total of 96 crayons.